29 is rostered to run every day from Saturday 22nd July through to Wednesday 16th August, with the exception of Friday 4th August when she will be undergoing an intermediate exam. This is subject to 29 being avaliable for traffic due to failures etc. 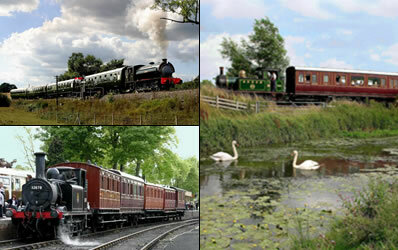 The dates for 29's visit to the Kent and East Sussex Railway have just been confirmed. She will be leaving the N Y M R on 17th July and will return during the last week in August. The K & E S R will be happy for any members to come along and help / volunteer. 29 will be running for 26 days. We hope to have some dates from the K & E S R shortly and will publish them on the website.